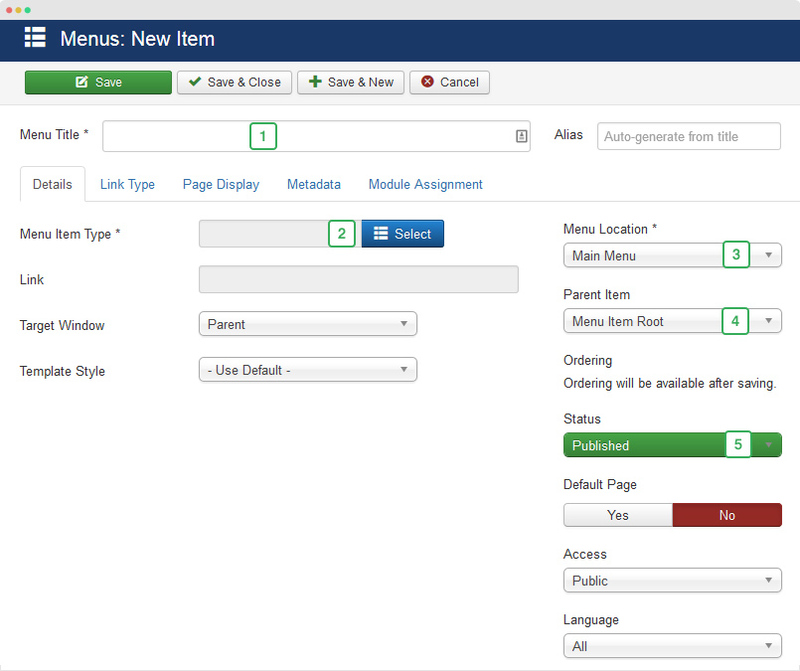 What is Joomla Menu ? A Joomla Menu is a set of menu items used for website navigation. Each menu item defines an URL to a page on your site, and holds settings that control the contents (articles, category lists, tagged items, etc), view and style of that page. Menu is the most popular and standard way to publish content to front-page. You need to distunguish menu and menu item. As mentioned, a menu includes a set of menu items. To create new menu, go to: Menus » Manage » Add new menu. In the adding new menu, there are not many fields, just add the menu title, menu type description if you want. Once done, save the settings. Back to the Menu management page, you will see list of created menu. You can delete any menu. Menu item type: hit the "Select" button to select menu type, each menu type will give you different settings. Parent Item: select parent menu item for the menu item. Status: Publish the menu item if you want to show it in front-page. 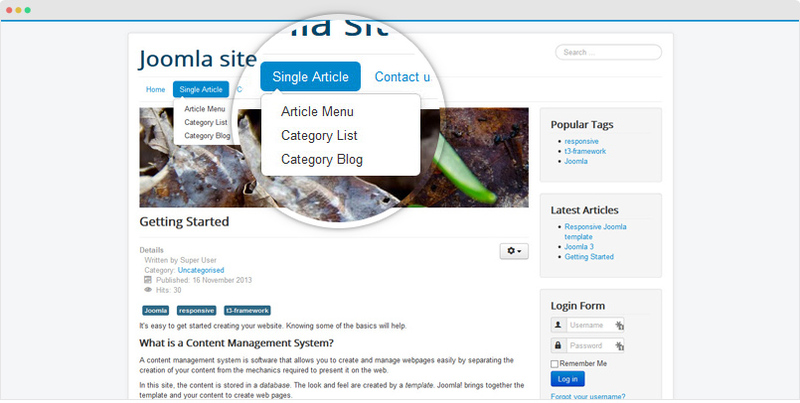 Joomla supports many menu types. Hit the "Select" button then select menu type. Each menu type will have different settings corresponding to the content type, views and layouts. 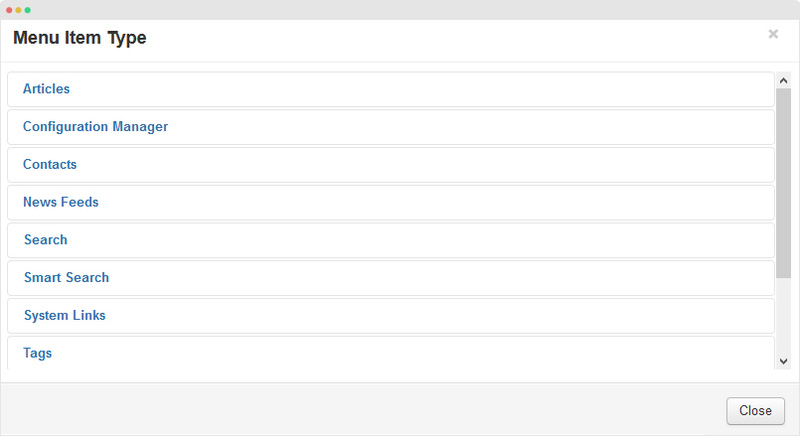 By default, Joomla supports Dropdown menu system, when hovering/clicking on a menu item, list of sub-menu items will be shown in the dropdown. This will help group menu items easier and make the menu system well structured. To do that, it is very simple, when creating a menu item, you just need to assign it to a parent menu item. Check the screenshot below. In front-page, when hovering the parent menu item, sub-menu items will be shown in the dropdown. The order or menu items in front-page can be configured the ways you want. You can decide which menu item to display in specific order. 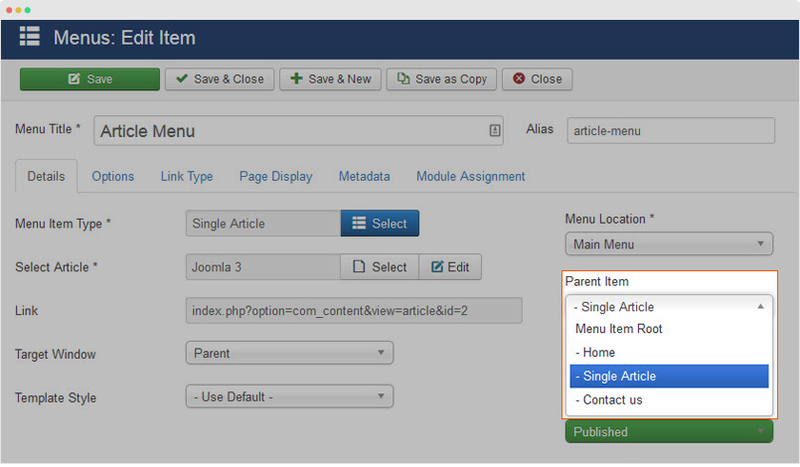 To do that, simply access your Joomla site admin and go to: Menus » Main Menu, you will see list of created menu items of "Main menu" menu. Now, you can drag and drop to change the order of the menu items. The order of menu items in the back-end is the order or menu items in front-page.